The purpose of the project was to create systems engineering tools to reduce the time needed for the development of complex control systems. The idea was to develop database oriented management of design, analysis and implementation information. This will eliminate overlapping work and ensure consistency of data. 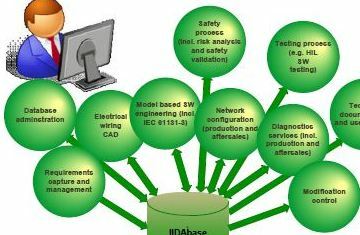 The project created prototype implementation of a data model and process workflows that utilize the same data model (i.e. for risk assessment). The creation of project documentation with the help of the database was demonstrated and automatic generation of documents was tested.